Human breast tumors often exist in an acidic and hypoxic microenvironment, which can promote resistance to radiation and chemotherapies. A tumor-selective pH gradient arises in these tumors which favors uptake and retention of drugs like camptothecin that are weak acids. We evaluated the effect of alkyl substitutions at the 7 position in seven CPTs with varying groups at the 10 position on modulation by acidic extracellular pH in three human breast cancer cell lines. Growth inhibition was assessed by propidium iodide staining of nucleic acids in human breast cancer cells cultured at either extracellular pH 6.8 or 7.4 that were (1) hormone-sensitive (MCF-7/wt), (2) hormone insensitive (MDA-MB-231), or (3) alkylator-resistant (MCF-7/4-hc). Over 10-fold pH modulation was observed in 7-halomethyl analogs of methylenedioxy-CPT and in 7-alkyl analogs of 10-amino-CPT. Of 39 analogs tested, the overall pattern of activity across breast tumor cell lines was similar with some notable exceptions. For example, 7-propyl-10-amino-CPT was modulated 16- to 20-fold by acidic extracellular pH in the MCF-7 cell lines, but only 6-fold in MDA-MB-231 cells. One mechanism that can contribute to pH modulation is enhanced cellular drug uptake and retention. In MCF-7/wt cells, uptake of 10-amino-CPT increased 4-fold, while retention increased over 10-fold at acidic extracellular pH. In addition, gene expression analysis of MCF-7/wt cells indicated that expression of a number of genes changed under acidic culture conditions, including down-regulation of the CPT efflux protein pump breast cancer resistance protein (BCRP). Interestingly, expression of topoisomerase I, the molecular target of CPT, was not affected by acidic growth conditions. These results highlight the importance of maintaining key features of tumor physiology in cell culture models used to study cancer biology and to discover and develop new anticancer drugs. 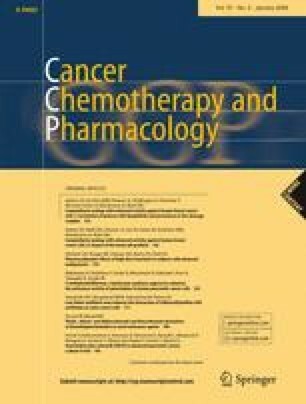 While several substitutions at the 7 and 10 positions enhance potency, 7-halomethyl and 10-amino CPT analogs show selective activity at the acidic pH common to the microenvironment of most solid tumors. The work is dedicated to the memory of Dr. Monroe E. Wall, who inspired this research team and many other investigators committed to creating useful anticancer drugs from natural products.